Charlie Moody news cameraman died on Monday (3rd Dec 2018) after a long illness. Charlie started in Manchester in late 50s, moved to Birmingham in 1960,and started at BBC soon after in Broad St later working full time for Midlands Today retiring in 1993. So sorry to hear this, Charlie was one of the first crews I worked with. Wonderful eye; and one lesson still subscribing to is always look after the crew. 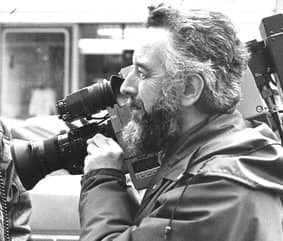 Charlie showed me great kindness when I first became a fellow freelance cameraman. I will always remember his dry sense of humour. Knew Charlie when we were teenagers. Did his National Service in the army, served in Malaya. Always a good photographer and cameraman. Very sorry to hear this. Another one gone from a large group of friends.